Are you looking for possible homework assignments, info-graphics, and worksheets? Then you've come to the right place. We add resources to the PWU tool box monthly so be sure to visit often for new resources. "He willingly came and suffered because of His love for you." Hope: We serve a God who specializes in redemption. Here is an info-graphic of five Biblical descriptions of God's response to abuse. Here is an info-graphic six Biblical descriptions of abusive people. Here is an info-graphic comparing the equality wheel with the tree model. Here is an info-graphic comparing the power and control wheel with the tree model. 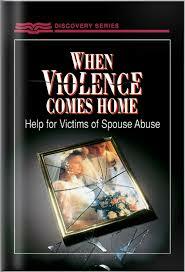 This is a tool I use to gather information from a victim regarding a man's use of abusive actions. This is a tool I use to gather information regarding a man's use of abusive actions. E-book "God's protection of Women"
"In the following pages Herb Vander Lugt, long time pastor and senior editor for Radio Bible Class opens the Bible to show that Moses, Jesus, and Paul all recognize that some marital conditions are worse than divorce." The destructive power of words can be a crushing force in a marriage—or in any relationship. 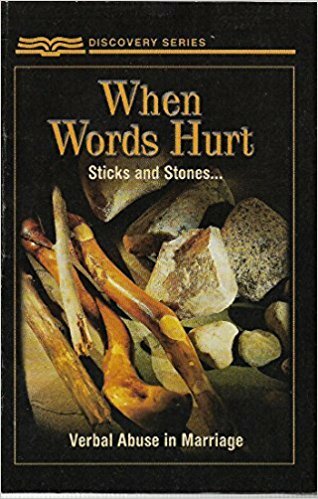 In this booklet, counselor Jeff Olson helps you get a better understanding of the way words can be used as an instrument of building up or a weapon of tearing down. Being strong is an essential God-given component of masculinity; however, using that strength to dominate, bully, and hurt others becomes a misuse of the good thing God has given. Counselor Jeff Olson uses the examples of biblical characters to help you understand where, how and why power can be abused. Discover your true strength and how you can use it for good rather than for evil.